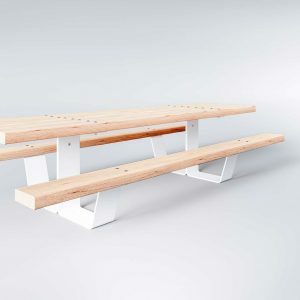 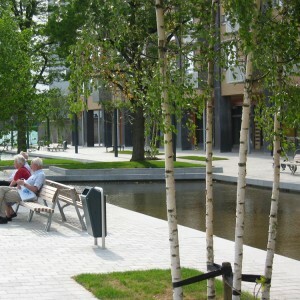 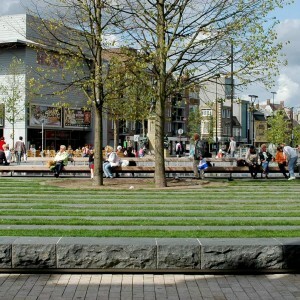 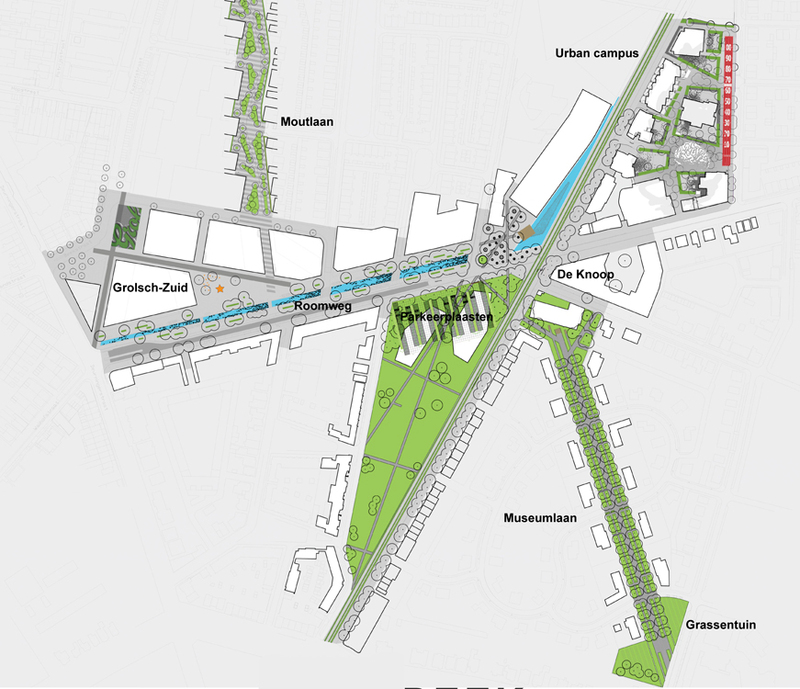 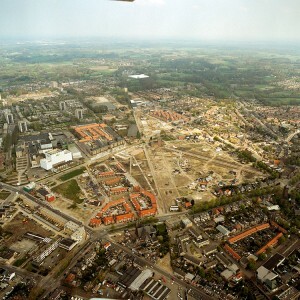 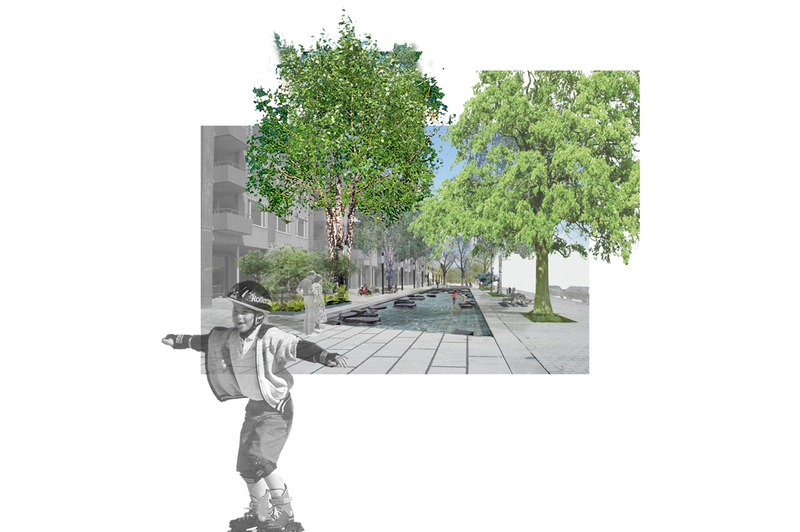 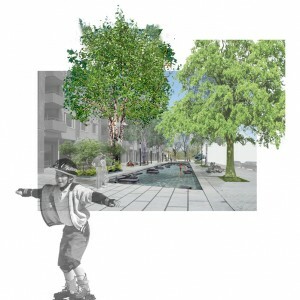 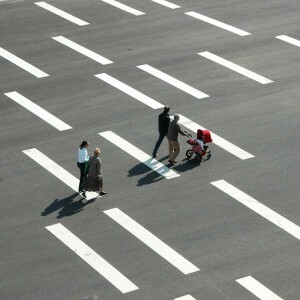 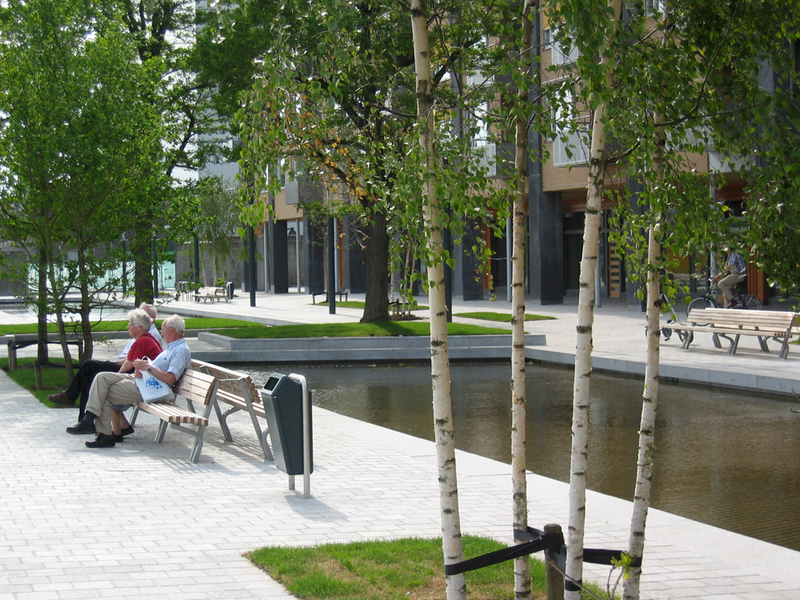 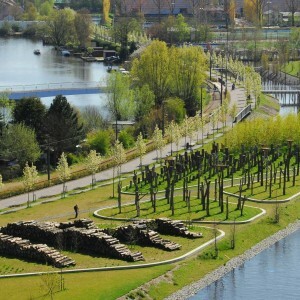 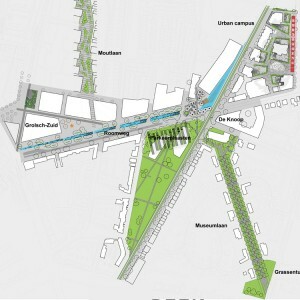 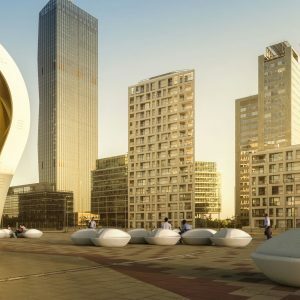 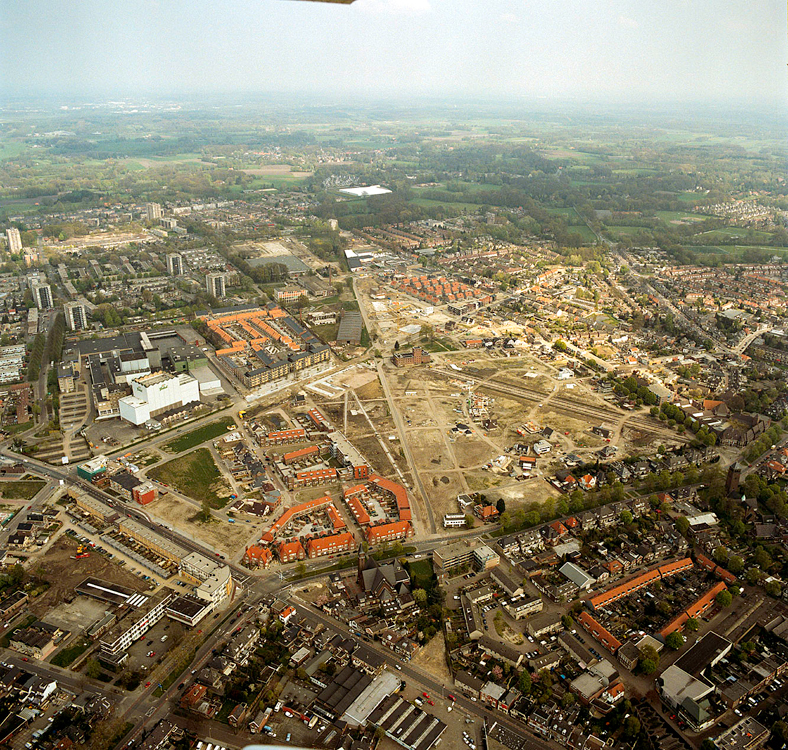 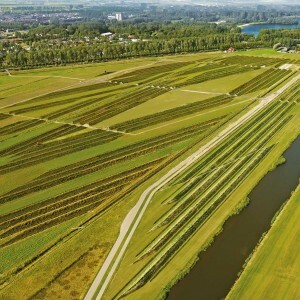 Buro Sant en Co: Roombeek is a commercial street and also the urban core of the district. 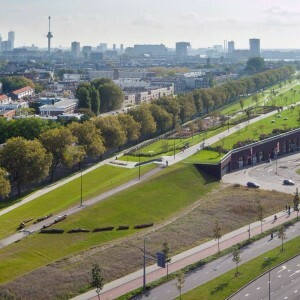 The small stream, which gives its name to the street and has in the past flowed underground, has been restored and brought up to the surface again. 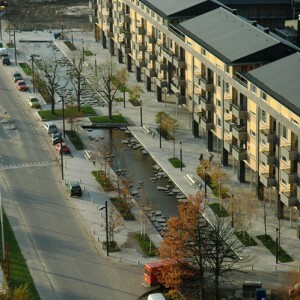 Now the water is part of the urban environment and has become the district’s new central point. 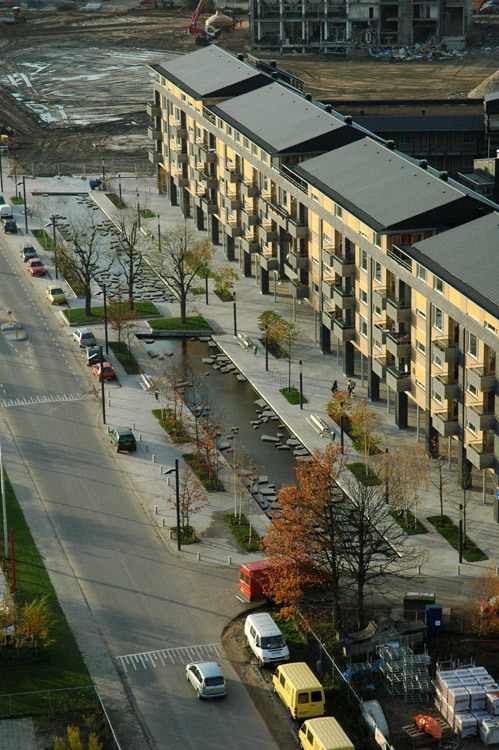 Its asymmetrical design, which widens and narrows along the street, accentuates its different spatial features. 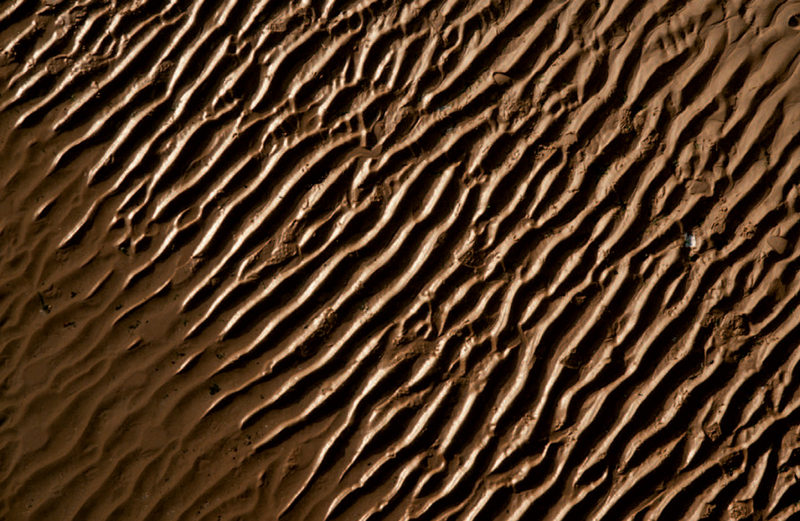 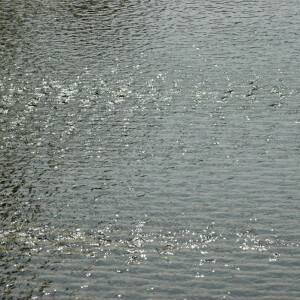 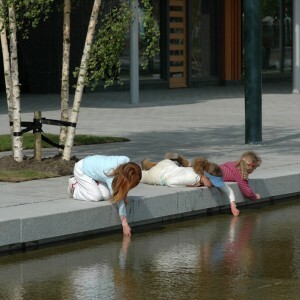 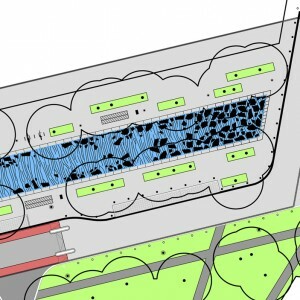 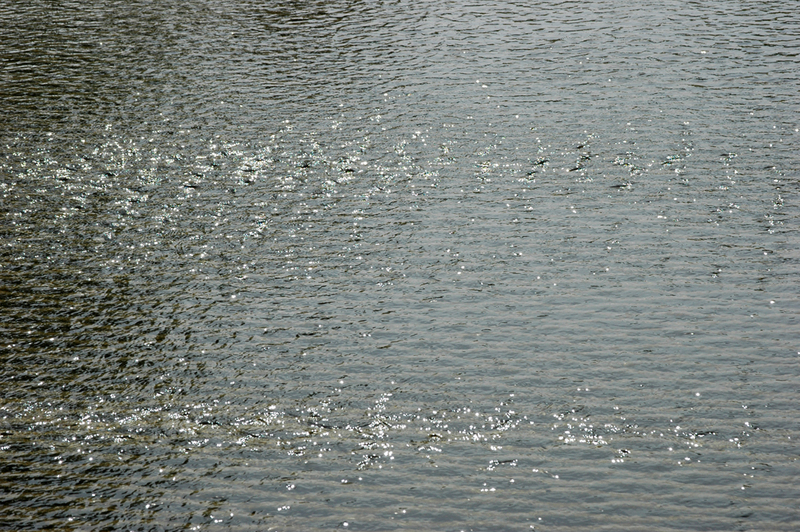 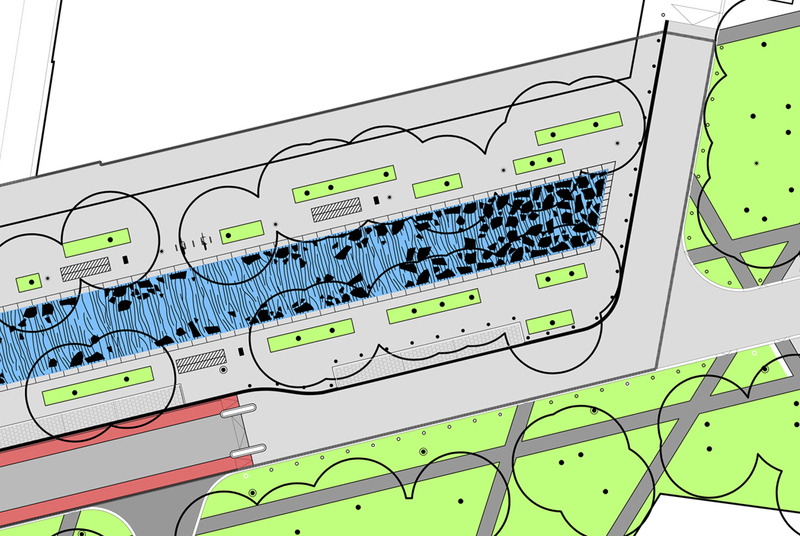 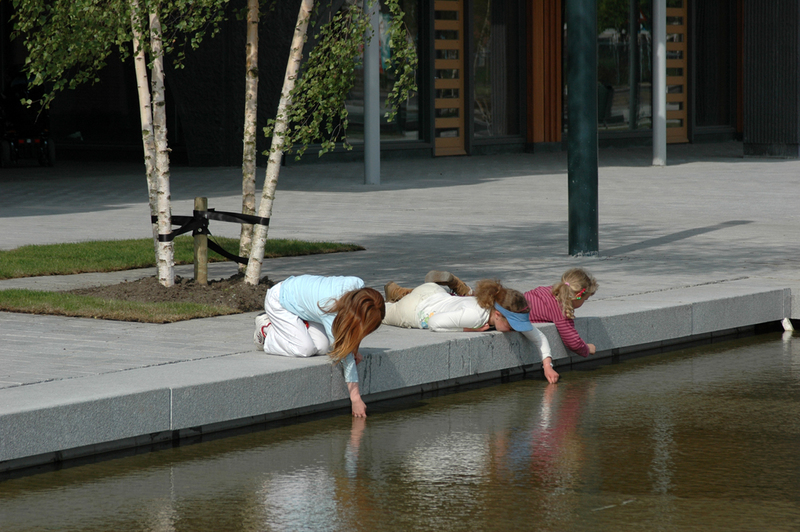 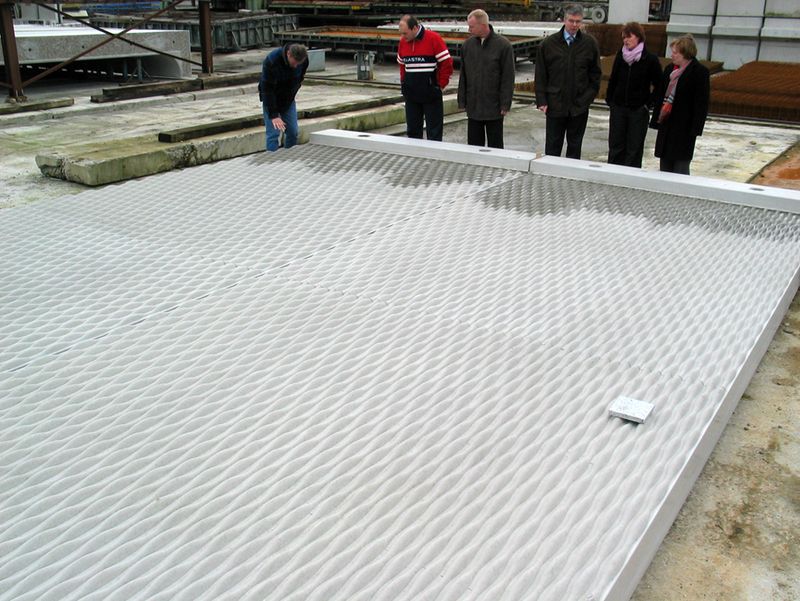 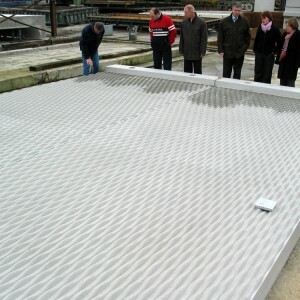 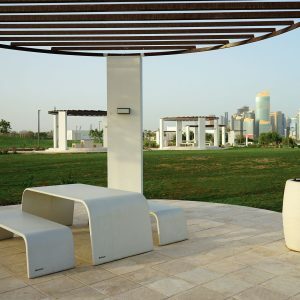 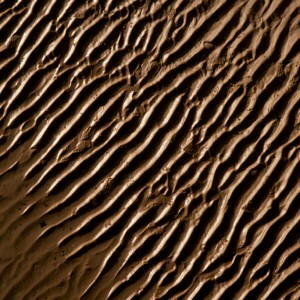 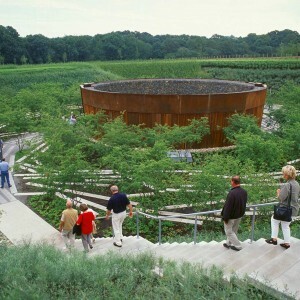 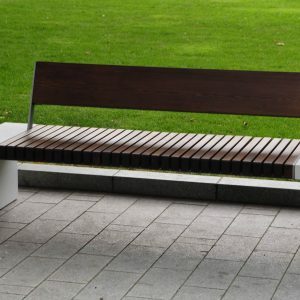 The base of the stream is treated with a rough structure that reduces the flowing speed of the water and creates a constant reflective pattern on the water surface. 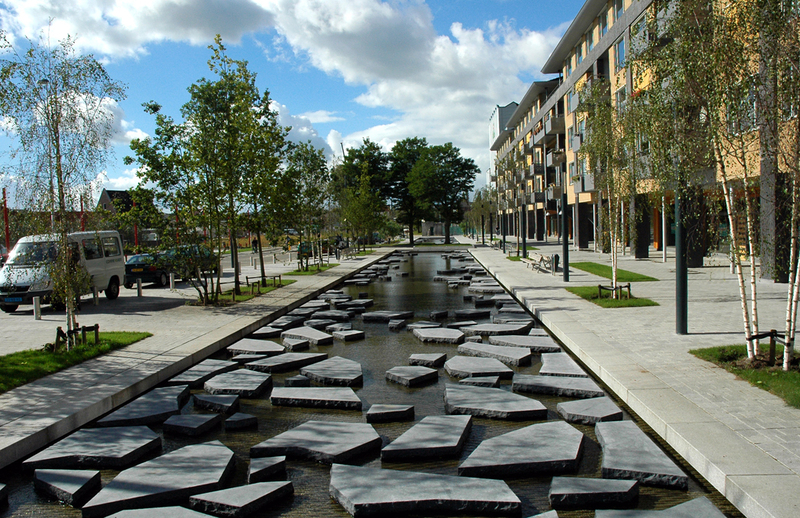 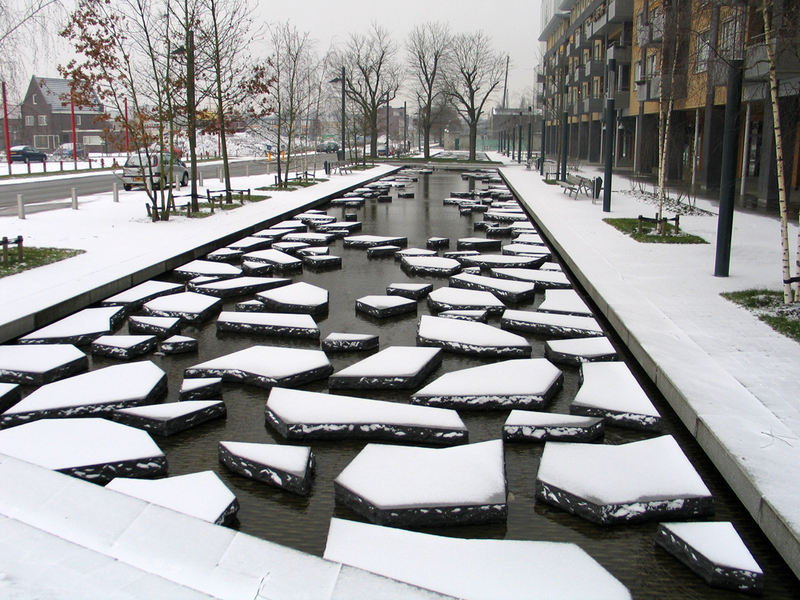 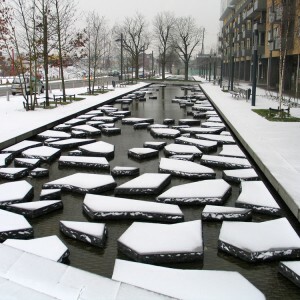 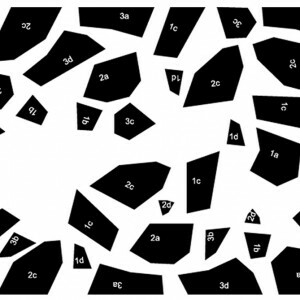 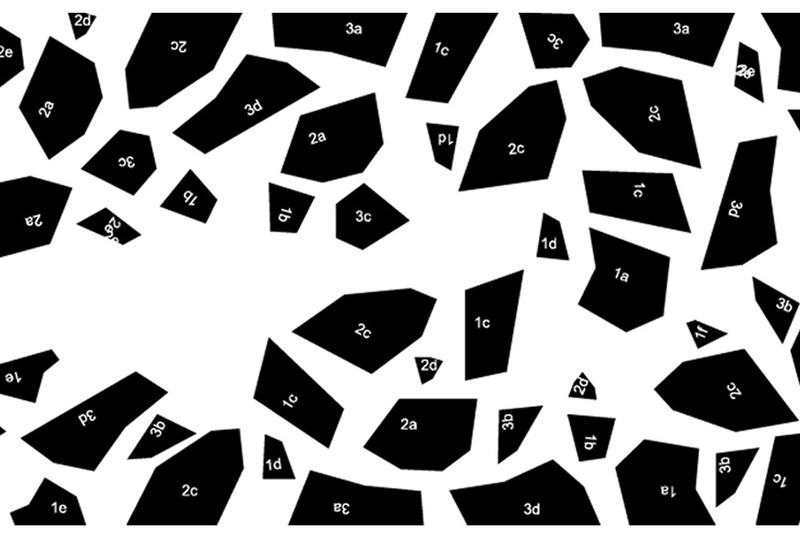 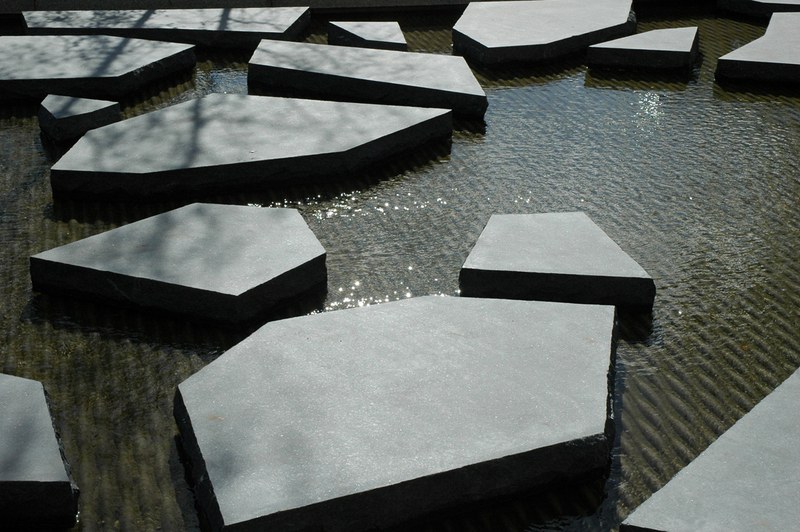 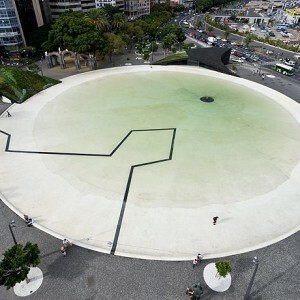 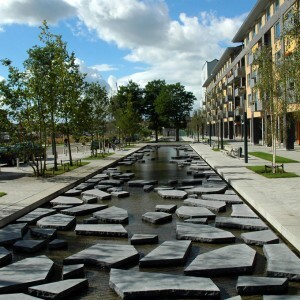 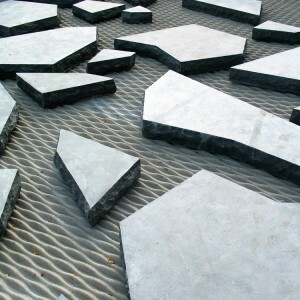 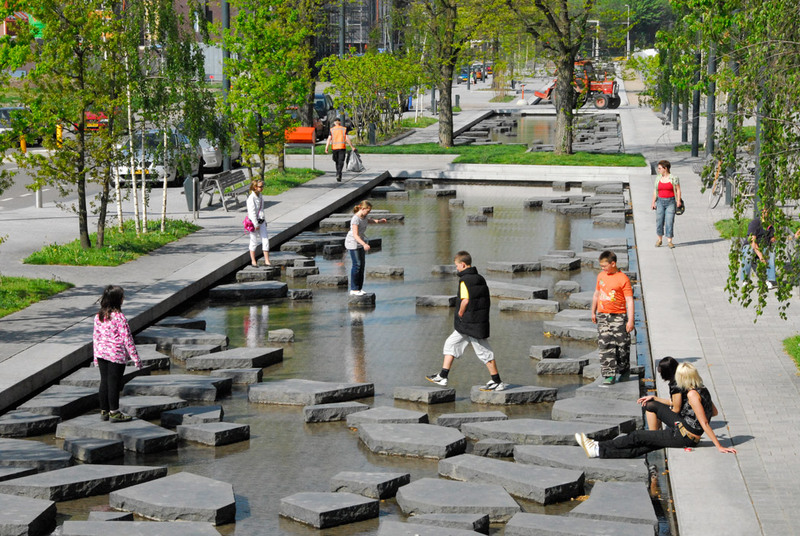 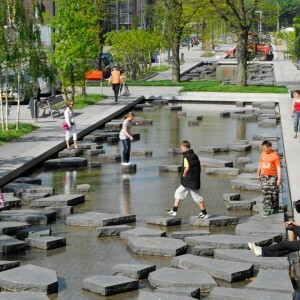 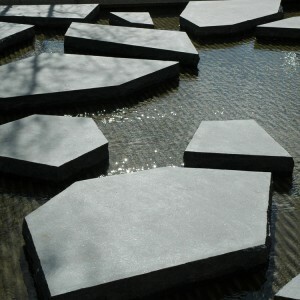 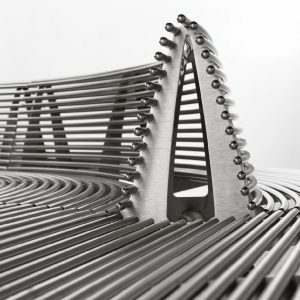 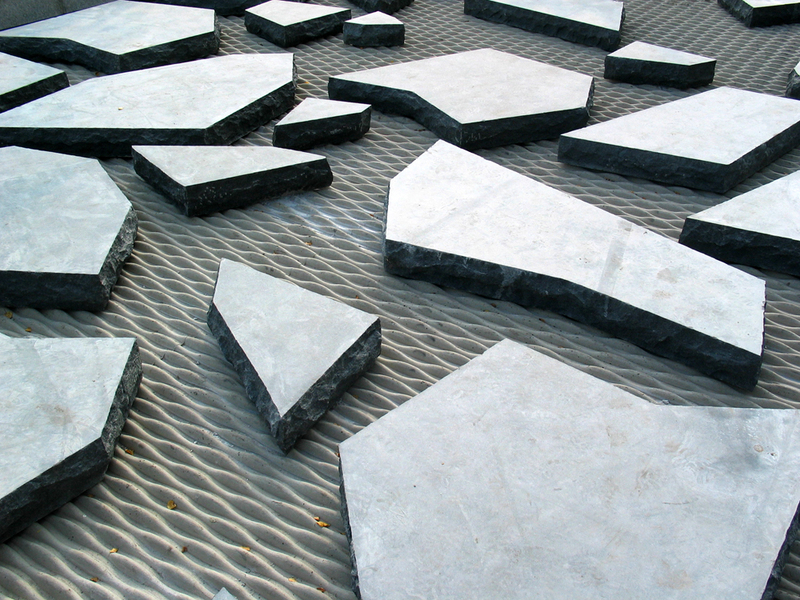 A distinctive composition of sharp edged stepping stones refers to the randomness of natural processes and is also a reference to the fireworks explosion.